When can babies eat yogurt is an un-revealed poster till now. Here’s introducing baby dairy products! Having confusion or getting a question of whether it is right or wrong! 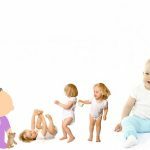 Not to worry anymore – here read about a well-researched post on whether a baby can be given dairy products and when can babies eat yogurt. In general, babies pediatricians state that no dairy products should be given to the baby till baby’s 1st year. But that concept will go well only for milk, wherein cow’s milk does not have right proportion of nutritional value as compared to mother’s milk. Hence, it will sustain the growth of the infants, and because of the what the doctors say, parents have a tough time deciphering when can babies eat yoghurt. Right from the time, when you are introducing weaning foods to your baby, say for around 6th month onwards, you can add yogurt to the baby’s food gradually. Yogurt is a great diet element on the healthy side for your baby, which is actual with lesser calories, but with calcium, extra protein properties, along with active cultures. Active cultures act as an important factor in baby’s digestion process. However before feeding the baby with yogurt, as a right & good parent one must have right knowledge on it and the factors that you need to give attention. As per the statement by the pediatrician Dr. Frank Greer, American Academy of Pediatrics, babies can be given yogurt by the month of 6. Only when you feed the baby yoghurt for the first time will you be able to see if it is allergic to it. The baby might show signs of eczema or chest congestion if it is lactose intolerant. Whenever you are trying any set of new food, mom has to feed the baby in the daytime. And she must try the same at a minimum for three days. This is to check any side-effects symptoms or if the baby’s digestive system is accepting food. Appending below is the formula to feed yogurt. Alright!By now, you may be clear on when can babies eat yogurt, but how to introduce is the question where the challenge lies. It is important to understand that babies cannot consume yogurt in any form and appending below are few of the recommendations to feed in yogurt with above said formula. Initially, you can serve plain yogurt of a 1/4th teaspoon at first. When you find that your baby balks, then you can add some sweetening factors say a pinch of sugar with a drop of vanilla extract to add extra taste. Also, you can find few reputed brands that sell yogurt especially for babies with zero percent of artificial additives. Doesn’t matter wherein you can try a pure homemade one. Secondly, you can try giving yogurt with food around noon time. But keep in mind not to do this attempt, when your baby shows any symptom of cold & cough and when the weather seems cold. Whatever the way and the formula you try, just wait for minimum three days to check for any side-effects and also before trying any other new food. See to that whether your baby has any sign of vomit, diarrhea, cramping, baking, et al. If it so, please take your baby to the doctor immediately and then you can wait for about 2 – 3 months’ time period to try the same food again. Don’t try honey to add as a sweetener with yogurt for your baby, wherein nowadays, no honey is pure. But why yogurt before 1 year ? When the doctor says no dairy products should be introduced to the baby before his/her 1 one year, yogurt occupies special space right from the 6th month of the baby, if not even from the 8th month is allowed. Unlike cow’s milk, yogurt has active cultures, i.e. thermophiles and bulgur incur that are major properties in improving the digestion process in the baby. The preparation of yogurt results with the modification of milk protein, hence easing the digestion too. In addition, it supplies calcium content to the baby which is very much essential to a baby till his/her one year. Thus, pediatricians prescribe calcium drops to the baby. A registered dietician of American Dietetic Association, states that dairy products that are rich in full-fat are required by a baby till his/her 2nd year. And so, you can choose whole milk yogurt that is pasteurized and it could be plain or naturally sweetened. For babies found with type 1 diabetes, such artificial sweetened one is acceptable to feed in. But in general, do not consider artificially sweetened and low-fat products for babies less than 3 years of age. In addition, you also can try to give your baby shelf stable yogurt when the baby is of at least 10 months old. Shelf stable yogurt is the one which is processed by culture and pasteurization, hence, active cultures may be missing. However, you can try adding that into account when you are on travel which does not require any refrigeration. Happy yogurt feeding day! Why Do Parents Abuse Their Children? «Next Post How to Have a Baby?